Can I Update The Revision On My VISTA 20P? Yes, the revision can up updated on a Honeywell Vista-20P control panel. The Honeywell Vista-20P control panel’s revision needs to be 9.12 or higher to connect to Total Connect 2.0. A compatible Honeywell Internet communicator or GSM Cellular communicator also needs to be paired with the Vista-20P control panel to communicate with Total Connect 2.0. Honeywell offers a replacement Vista-20P prom chip to update the panel’s revision. The prom chip can be purchased separately or in a kit with a Honeywell communicator. When purchased in a kit, 4 chips will be sent (Vista-15P, Vista-15PSIA, Vista-20P, and Vista-20PSIA), be sure to select the correct chip when upgrading your panel. Choose the chip that most closely matches the chip you're replacing. If you're unsure, contact technical support for assistance. 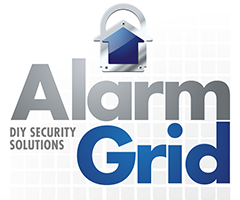 You can email us at support@alarmgrid.com. The Honeywell iGSMV4G-TC2 (carrier AT&T) is a dual path communicator that communicates via internet and gsm cellular. The iGSMV4G-TC2 includes a prom chip for the Vista-20P and Vista-20PSIA control panel, as well as proms for the Vista-15P and Vista-15PSIA panels. The Honeywell GSMX4G-TC2 (carrier AT&T) is a cellular communicator and the kit includes a prom chip for the Vista-20P and Vista-20PSIA, as well as proms for the Vista-15P and Vista-15PSIA panels. The Honeywell CDMA-X-TC2 (carrier Verizon) is a cellular communicator and the kit includes a prom chip for the Vista-20P and Vista-20PSIA, as well as proms for the Vista-15P and Vista-15PSIA panels. The Honeywell 7847i is an internet communicator which is compatible with the Vista control panels, there is no TC2 kit at this time so a prom chip would need to be purchased separately. Total Connect 2.0 allows users to control a Honeywell alarm panel, home automation and video surveillance from any computer, smartphone and ios device. Users will receive notifications via email and or text message on any alarm signal and event. Total Connect 2.0 can be used in conjunction with central station monitoring or for self monitoring. If a self monitoring plan is selected the user would be notified via email and or text message on any alarm signal or event configured for notifications, and it would be up to the user to contact authorities if needed.